Ian Scott Massie has been making prints from his paintings for many years and currently reproduces a selection of his work in limited editions of 50 prints. The images are of places he loves in Yorkshire, Cumbria and Northumberland. Each print is digitally scanned from an original watercolour painting before being printed on fine art paper using archival quality, lightfast inks. These kind of prints are known as giclee prints. Each print is individually signed and numbered by the artist. The prints come in a neutral mount to fit the frame sizes given below with the details of each print, and are cellophane wrapped and posted in a reinforced envelope. Prices include postage and packing. Click on an image to see the details and a larger image. 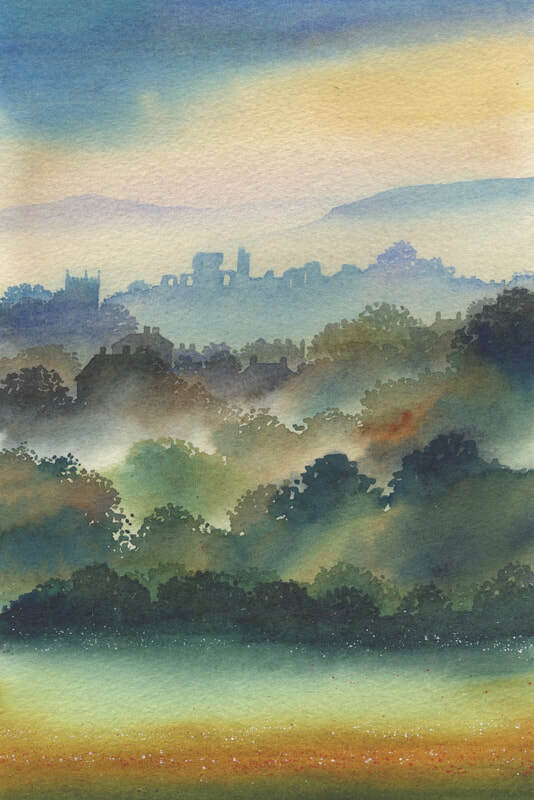 To purchase a print CLICK HERE to be taken to Masham Gallery's online shop which handles Ian Scott Massie's print sales.